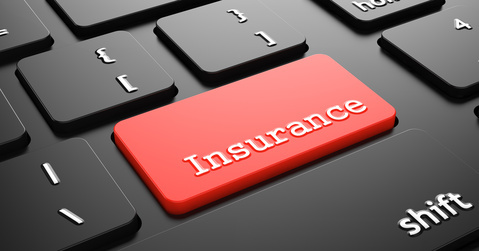 According to the National Association of Insurance Commissioners, a captive insurance company is a form of self-insurance whereby the insurer is owned wholly by the insured. They are typically established to meet the risk-management needs of the owners or members. Captive insurance companies have been in existence for over 100 years. Yet, over the past 30 years, there has been significant growth in the captive market. Today, there are over 5,000 captives globally compared to roughly 1,000 in 1980 according to A.M. Best Captive Center. Captives can be domiciled and licensed in a number of jurisdictions, both in the United States (e.g., Vermont, Delaware), and offshore (e.g., Bermuda, Cayman Islands). The captive’s primary jurisdiction is known as its domicile. Choice of domicile is dependent on many factors and a detailed analysis such as, “availability of capital, specialty lines of insurance to be written, and particular needs for flexibility in the investment of the captive's assets.” This analysis is very complex and involves services provided by captive managers, actuaries and attorneys. There are many substantive considerations when choosing where to form a captive insurance company, including separate licensing requirements with the Department of Insurance in the jurisdiction where the captive company will be formed. A captive manager or legal counsel typically provides guidance and assistance with these requirements. This article will focus on some of the most basic administrative considerations when forming and maintaining the existence of the captive insurance company at the Secretary of State level once the domicile of the captive has been determined. Examples specific to requirements in Vermont and Delaware are included below to illustrate some of the differences in requirements in these two jurisdictions, which are listed among the top 10 domiciles with registered captive insurance companies. Entity formation and compliance requirements vary among states where captive insurance companies are formed. Below are some basic matters that should be investigated to ensure that, prior to submitting your application with the Department of Insurance, you have properly formed the entity, and that you are aware of the ongoing compliance requirements to maintain the entity in good standing. Check name requirements and availability. Typically a certified copy of the Certificate of Incorporation/Formation is required with the Insurance Department Application. Check timing of completing the formation to ensure you do not delay the submission of the Application to the Department of Insurance. For example, a Delaware formation can be completed on a same day basis contrasted by the State of Vermont which can take two to three weeks to complete the filing and receive evidence of same. In most states, a registered agent is statutorily required to be named in the Certificate of Incorporation/Formation. The registered agent is responsible to receive legal proceedings and tax notices on behalf of the captive insurance company. A registered agent may also be required to be listed on the insurance department licensing applications or applications for admission in some jurisdictions (e.g., Vermont). In addition, a separate designation form, such as a Designation of Person for Receipt of Service of Process, as required by the Delaware Department of Insurance, may also need to be filed. Depending on the jurisdiction of formation, this may also be referred to as a “resident agent” or “resident registered agent”. If the captive insurance company does not have a presence in the selected state of domicile, a professional registered agent may be appointed in each of the Secretary of State and Department of Insurance filings. Corporations are required to file an annual report with the Delaware Secretary of State and pay a minimum franchise tax of $175 to the Division of Corporations by March 1. LLCs do not file an annual report, but are required to pay a $300 franchise tax to the Division of Corporations by June 1 each year. Corporations and LLCs are both required to file an annual report within 2 ½ months after the fiscal year end. The fee for corporations is $45 vs. $35 for LLCs. While there are many other compliance matters to address with the Department of Insurance, missing an annual report filing or franchise tax payment will result in loss of good standing of the captive insurance company which could result in problems with the insurance department registration. Typically, the Department of Insurance in most states will require that the principal office, books and records and at least one board of directors/managers meeting be held within the state of domicile for the captive insurance company. Depending on the most favorable domicile chosen for your captive insurance company, you may not have an office or resident director/manager in that state. In that case, there are select service providers who can assist you with complying with these requirements. In some states, such as Delaware, an independent resident director may be engaged on a limited scope. Respond to inquiries from the Delaware Department of Insurance and/or the Insurance Commissioner. Maintain an office in the State of Delaware for the captive insurance company. Maintain select books and records in the State of Delaware and allow access to Delaware Department of Insurance and/or the Insurance Commissioner. Attend and initiate an annual telephonic board meeting of the captive insurance company. As illustrated above, in addition to Department of Insurance requirements, requirements related to the formation and ongoing compliance varies from state to state. It is important to be aware of these additional requirements when forming a captive insurance company in order to maintain the company in existence and in good standing in its jurisdiction of formation.